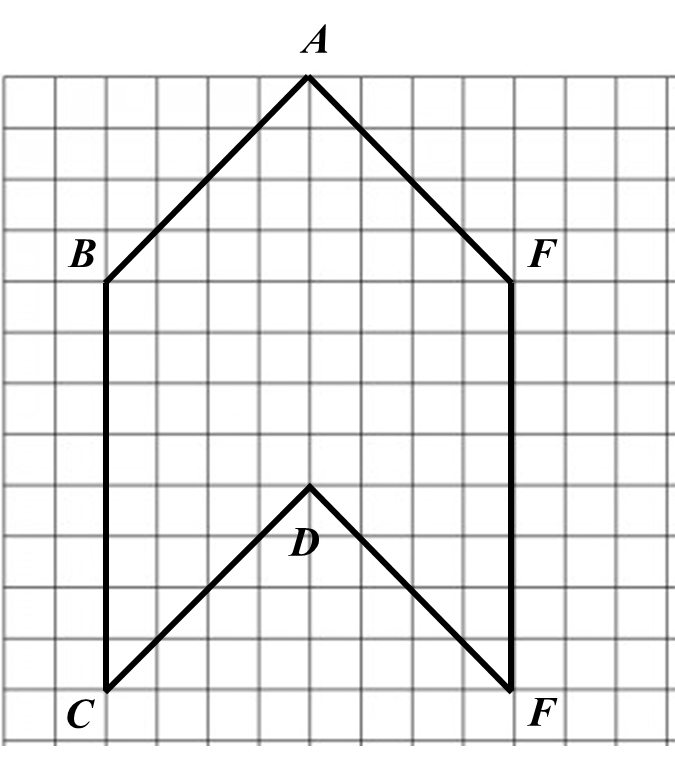 Diagram below in the answer space shows a quadrilateral ABCD drawn on a grid of equal squares with sides of 1 unit. X, Y and Z are three moving points inside the quadrilateral ABCD. (a) X is the point which moves such that it is always equidistant from point B and point D.
By using the letters in diagram, state the locus of X. (c) Hence, mark with the symbol ⊗ the intersection of the locus of Y and the locus of Z. 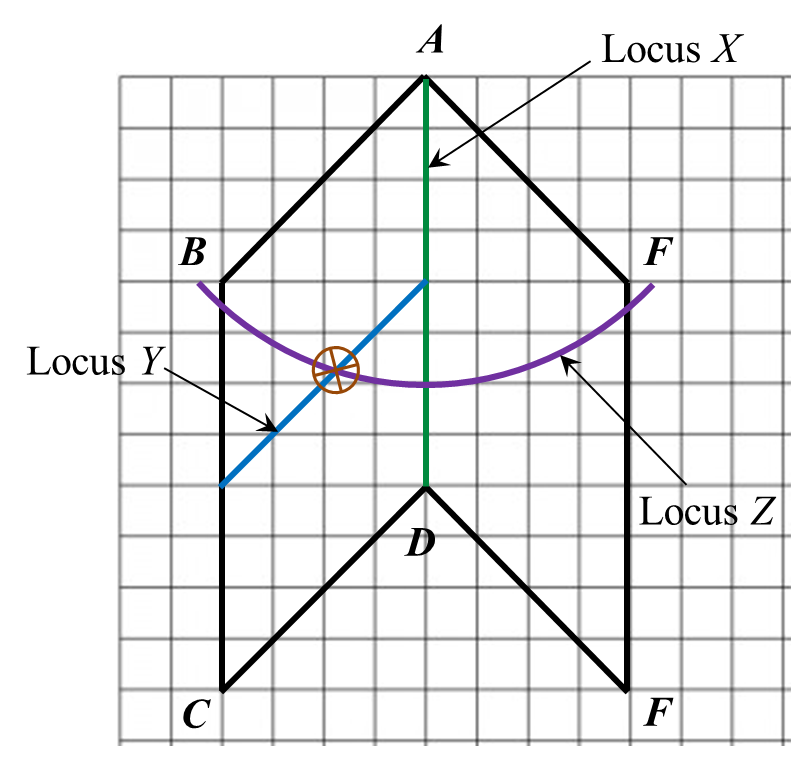 (a) The locus of X is the line AC. Diagram in the answer space below shows a square ABCD. 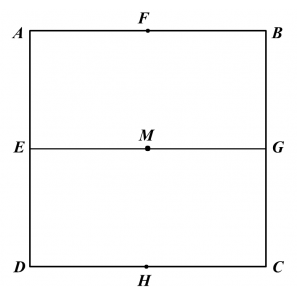 E, F, G and H are the midpoints of straight lines AD, AB, BC and CD respectively. W, X and Y are moving points in the square. (a) draw the locus of the point W which moves such that it is always equidistant from point AD and BC. 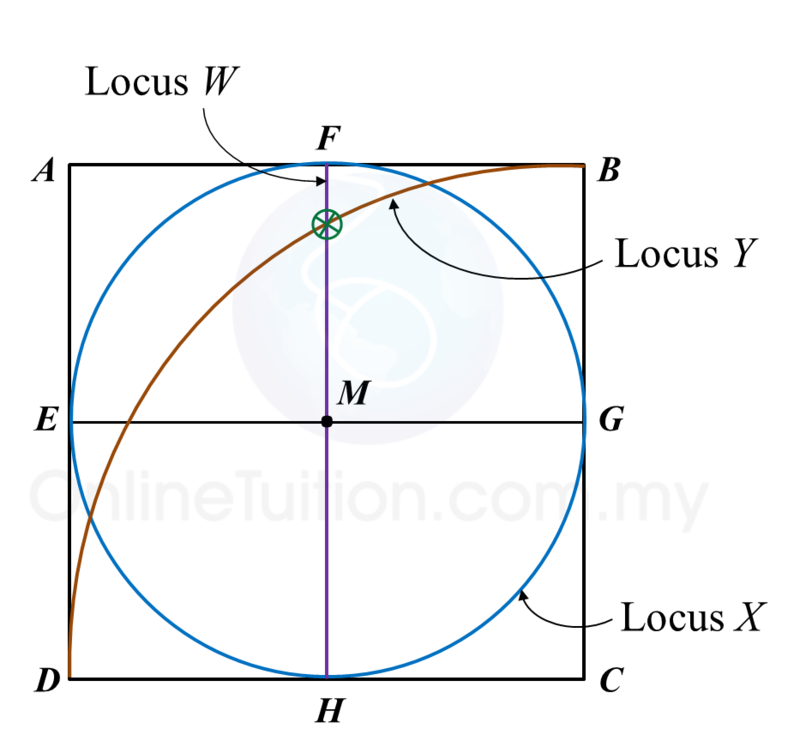 (b) draw the locus of the point X which moves such that XM = MG.
(c) draw the locus of point Y which moves such that its distance is constantly 6 cm from point C.
(d) Hence, mark with the symbol ⊗ the intersection of the locus of W and the locus of Y. Diagram in the answer space below shows a polygon ABCDEF drawn on a grid of squares with sides of 1 unit. X, Y and Z are the points that move in the polygon. (a) X is a point which moves such that it is equidistant from point B and point F.
(i) the locus of the point Y which moves such that it is always parallel and equidistant from the straight lines BA and CD. (ii) the locus of point Z which moves such that its distance is constantly 6 units from the point A. (a) The locus of X is AD.